August 2016 - my name is Food. Conveniently located in the Treasury Casino building, it allows easy access for events or gatherings even just for a quick lunch or dinner with family and friends. 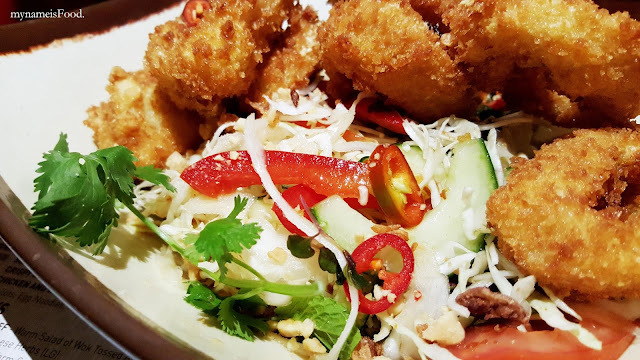 Luke Nguyen has created this restaurant to be a place where people can come and enjoy the traditional family recipes from South East Asia to the table although the main dish of the restaurant would be their 20 hour Fat Pho Noodles, their Fiery Laksa and Vietnamese Chicken Salad. 'Crispy Calamari with Thai Salad' (AUD$14) was a light and simple dish to order when you're not feeling to eat quite as much. 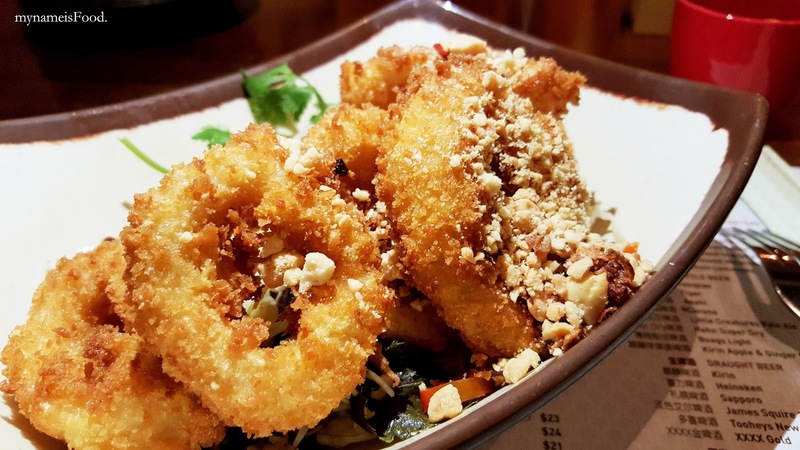 Panko fried crumbed calamari served with shredded cabbage, tomato with a Sweet and Sour dressing. Although it did seem like a good idea at the time to eat less that night, the dish itself actually came bigger than I thought it would be. 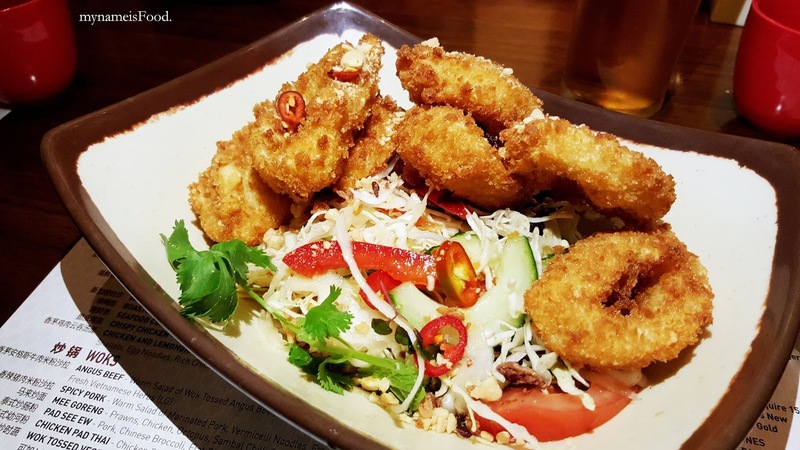 There were about 5-6 large panko crumbed fried calamari topped with crushed peanuts and there were also fresh chilli cuts on the shredded cabbage. Most of the sauce did lie at the bottom of the bowl so make sure you give it a good mix before eating it. If not, it will seem like eating a plain no dressing salad. If you don't like chilli as much like myself, do try and take as much of the fresh chilli slices out of the dish itself and place it on the paper menu place mat or elsewhere you see fit before mixing the salad. 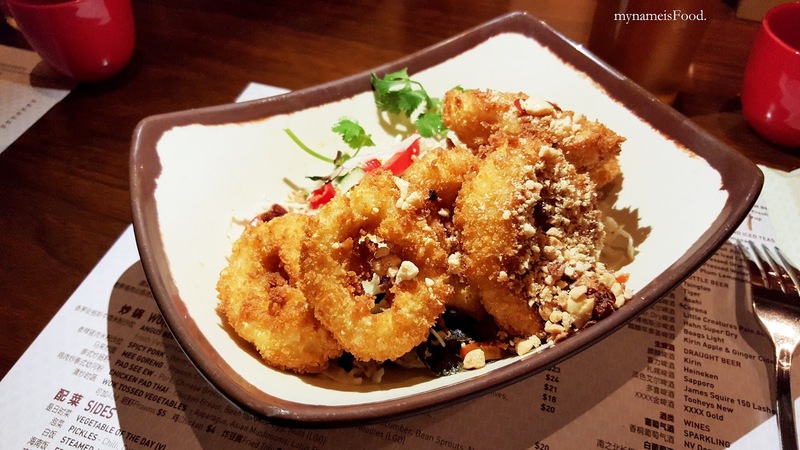 The Panko fried calamari was definitely the highlight of this dish being thick and nicely thinly crumbed. 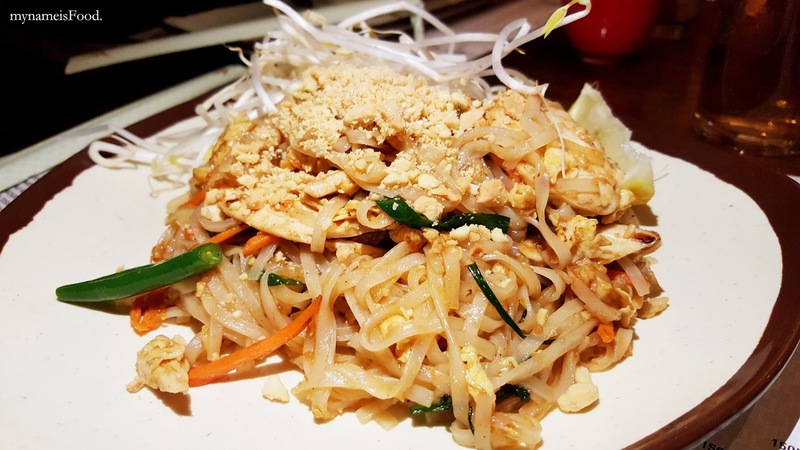 'Chicken Pad Thai' (AUD$18) is a classic Thai dish that consists of thin rice noodles with chicken breast, peanuts, bean sprouts and eggs. 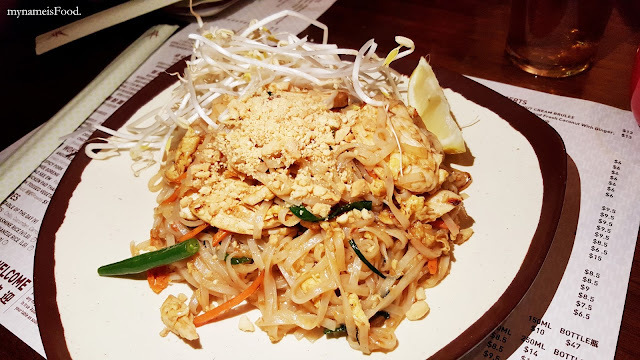 What intrigued me was that it wasn't as dark as the other Pad Thai dishes I have had before as well the crumbed peanuts and the bean sprouts were placed on top and on the side along with a wedge of lemon. Usually, they would all be mixed together while it is being stir fried in the pan. As for the Pad Thai itself, I did think that it lacked the punch even if it did look pretty in its presentation. 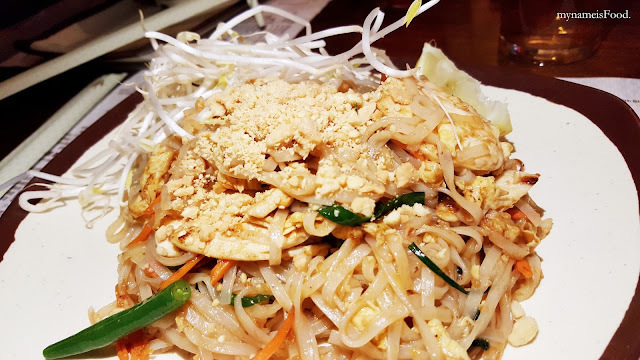 By squeezing a little of the lemon onto the dish and mixing it altogether along with the peanuts and bean sprouts, it felt that it needed abit more soy sauce to enhance its flavour. Overall it was alright but not extraordinary..
One thing I do have to say is that sometimes trying to get the attention of the waiters to top up your water or refilling your tea is a bit hard as they sometimes wander around other areas of the restaurant and I have had experiences where they seem to walk past you or avoid eye contact. A coffee franchise originating from Thailand made from 100% imported beans with true Arabica beans growing locally in their own country. With a motto, A drink from paradise... Available on Earth, was simply influenced by the quote, The best coffee is as black as the devil, hot as hell, pure as an angel, and as sweet as love! 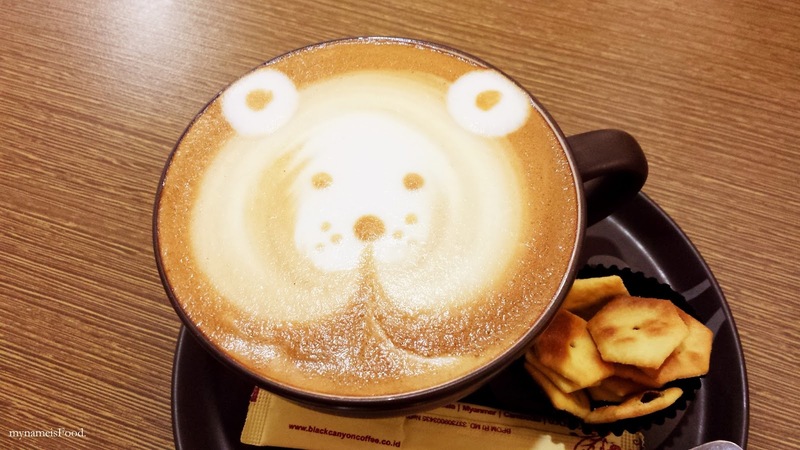 'Cappuccino' (IDR38k = ~AUD$3.8) had a Bear latte art served with a side of savoury biscuits. All coffees being made generally depends on two things for me, one is the coffee beans itself and how they were brewed, and the second is the barista, the person making the coffee. 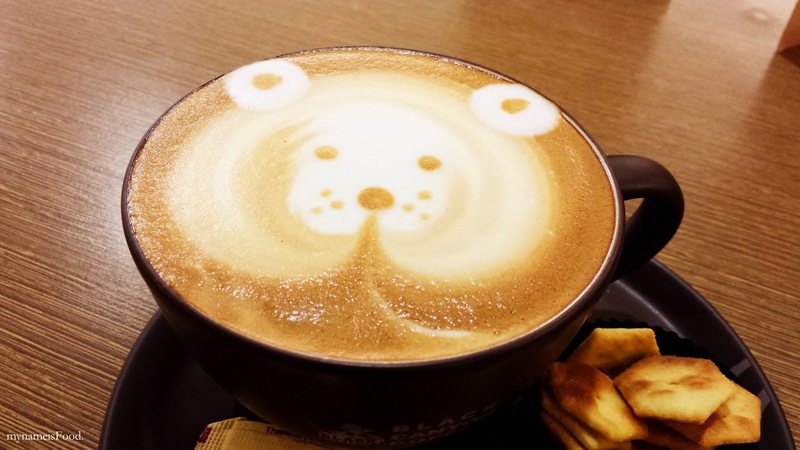 Good coffee beans with a not so good barista can make your coffee very liquidy.. 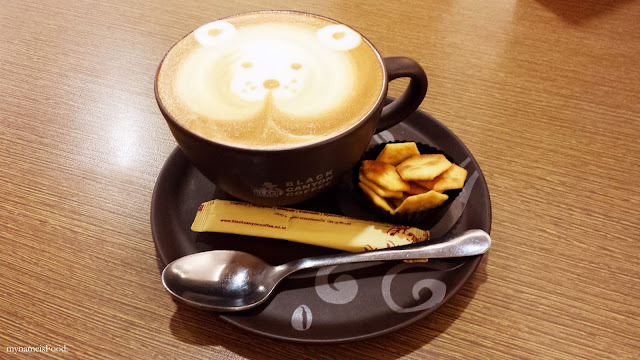 This time round, the coffee itself was quite strong which was a nice relaxation time for the both of us instead of having to continuously walk around the mall. 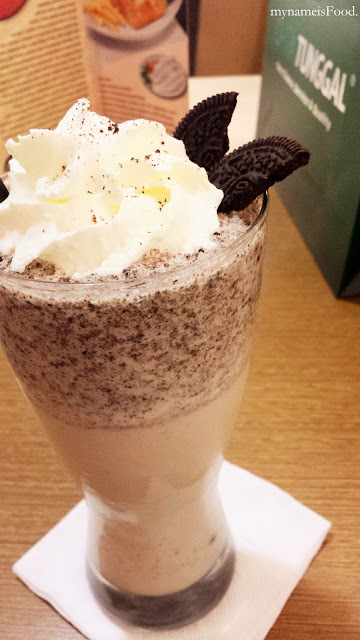 'Cookies n Cream Frappe' (IDR42k = ~AUD$4.2) has no coffee in it but if you would like some coffee with the frappe, just simply tell the person at the counter. 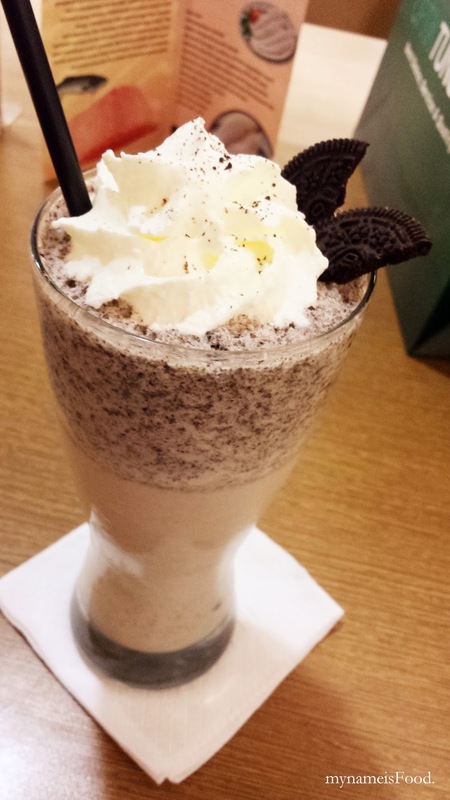 The cookies and cream was not bad, though it seemed like they may have needed to add more cookies inside or maybe even chunks of Oreo cookies. Whipped cream is something I'm not a big fan of (the opposite of my Mr. of course, he just loves them! ), so I told them while ordering that only a little will do. Bak Kut Teh has always been a popular chinese soup served in Singapore, Malaysia or even Mainland China or Taiwan. One of their specialties is actually their Dry Bak Kut Teh but I do feel that the traditional Bak Kut Teh with its complex broth and aromatic soup is the highlight of this dish. What is interesting in this restaurant is their Ipad ordering system using a tablet stored on each table in a pull-out drawer which allows you to order and add anything you feel like without having to continuously looking and waiting for the staff. Very convenient indeed. There is a table that has various condiments and sauces (Soy Sauce, Chilli, Garlic, Ginger etc) that allows you to help yourselves in anything you want. We decided to order some sides such as these lovely and so delicious 'Peanuts' (IDR32k = ~AUD$3.2), braised well and compliments all of the dishes and even delicious when eaten with just warm rice. 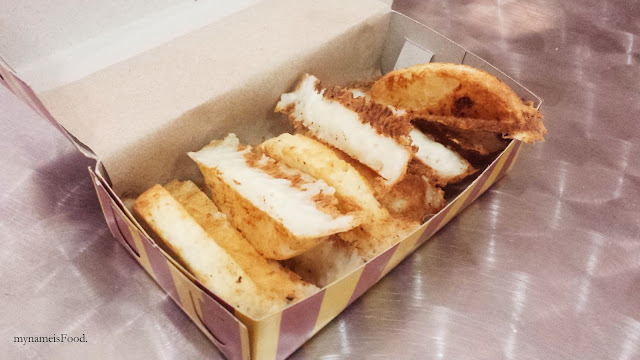 'You Tiao' is fried doughsticks which is very common to eat with most chinese dishes or even as a side, sometimes many would buy them just for snacks. It was quite fresh but not as fresh hot as I thought it would be. 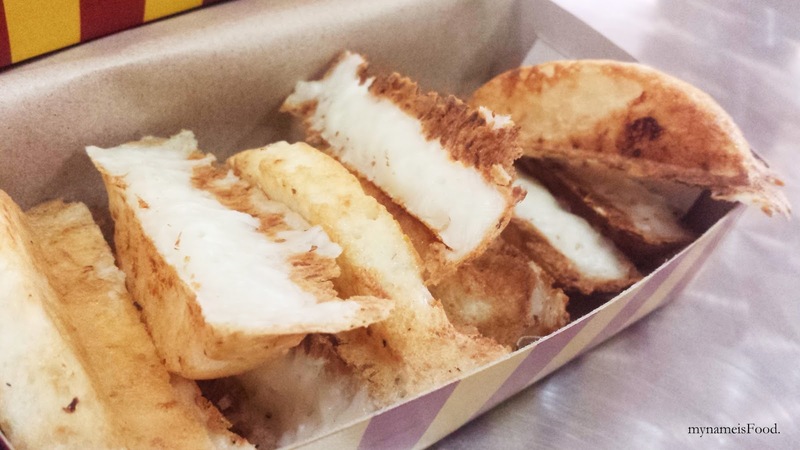 However, it was still crispy on the outside and when you dip it into the soup, that's when it is eaten best. Preserved Vegetables' (IDR38k = ~AUD$3.8) was not bad, not too salty either. Traditionally, Bak Kut Teh is eaten accompanied with brewing a pot of chinese tea. On each of the tables, there are built-in induction cookers where they will heat up your Bak Kut Teh. The name of the dish actually literally means 'Meat Bone Tea' which consists of meaty pork ribs which is simmered in a broth of various herbs and spices for hours. 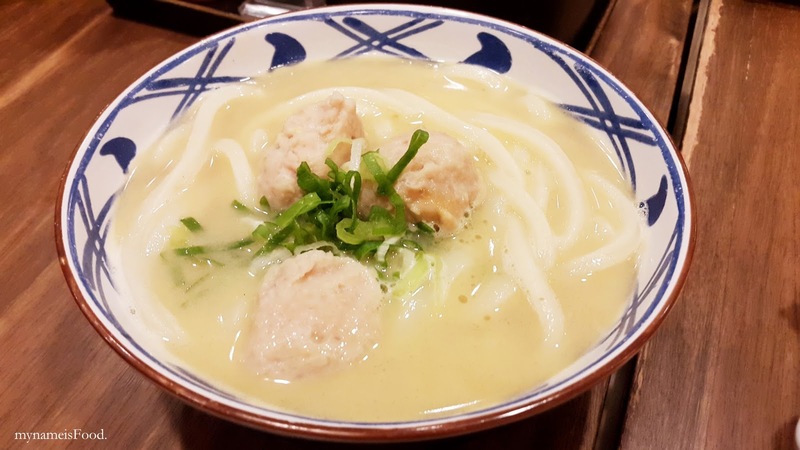 However, despite the fact that there is no tea present in the dish, the name simply refers to a very strong Oolong Chinese Tea which is usually served as I have mentioned previously, alongside of the soup. 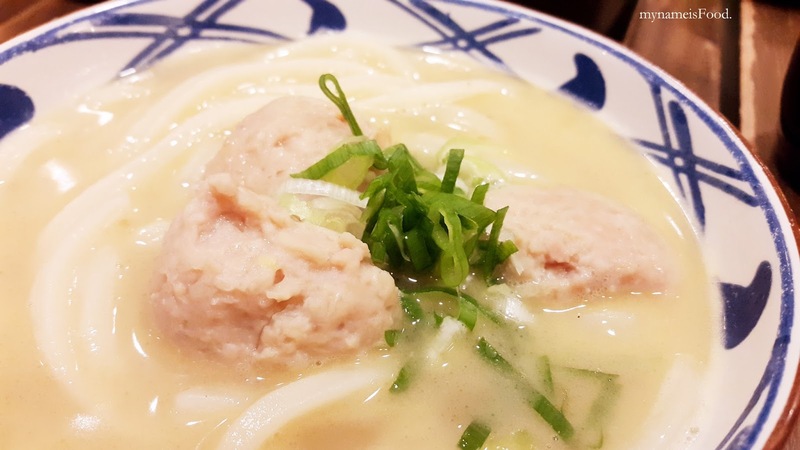 In a way, it simply allows one to be able to eat the pork filled dish and dilute or help the throat and after eating effect. 'Pork Ribs Soup' (Small: IDR75k, Large: IDR100k = ~AUD$7.5-10) is always great eaten with a bowl of warm rice. I was rather surprised that the Bak Kut Teh bowl didn't have only a few pieces of meaty ribs but it was plenty, enough to share around and am pretty sure if I had to finish a bowl all by myself, I would be full to the max. The soup has always been the highlight for me when eating this dish, it had the wholesome, herbal and peppery soup as well as very tender meat that that easily falls off the bone. It was very flavourful and zesty at the same time. There was a decent amount of combination of both soft bones and spare ribs. For those who may think that it may have those porky smell, it actually didn't as the smell of the soup and the broth was more distinct than the minimal pork smell..
Another great thing about the Bak Kut Teh here is that refills for the soup/broth is free, so you are able to top up as much as possible. So don't forget to ask for refills! 'Braised Pig's Trotter' is something I do love to eat other than Bak Kut Teh but of course, when you dine at a Bak Kut Teh restaurant, obviously it would be the main dish to order. The flavour of the braised meat seems as if it has been made with love and watched over for a while as it should be. The meat again was easy off the bone but do know that the soy broth is quite strong in terms of flavour and taste. This was a small bowl of braised tofu, beancurd as well as egg although I forgot what this was called. However, simply the soy broth allowed the different elements come together to make an aromatic braised tofu and egg. Another great condiment to have when eating Bak Kut Teh. I do need to advise you that chopsticks and spoons are stored on one side of the table where there is pull out drawer, since many may not know this, it may be hard during your first time when dining here. Especially with the Ipad ordering system also in a pull-out drawer. Now Surabaya do have more than one branch which is great for those living around the other side of town, but I do have to say that this is probably the only place in the city where I would get my dose of Bak Kut Teh.. The word 'Pandan' comes from the Pandan leaf, a natural Indonesian flora which is widely known for its naturalness and beauty as well as smell. Although many has said this restaurant tend to be quite similar to Linkafe in Tunjungan Plaza Mall, I have heard that the food are very similar in terms of menu both in food and its beverages. Although Linkafe has always been a favourite of mine, I don't bias Pandan Village to be a dupe though many may say so. 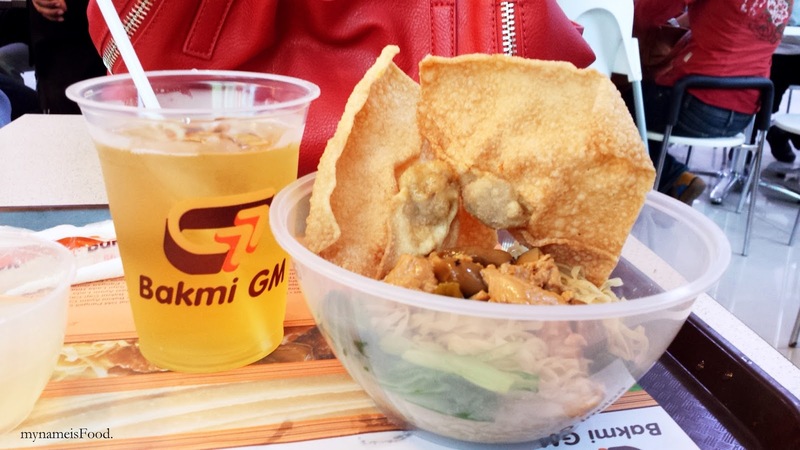 Pandan Village offer authentic Indonesian dishes as well as drinks. 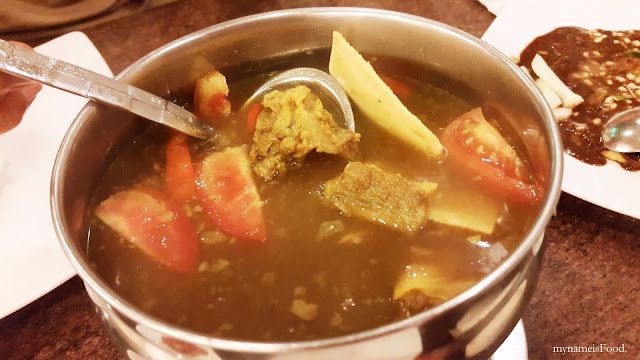 'Asem-Asem Iga Sari Kuning (Ribs Sour Soup)' (IDR62k = ~AUD$6.2) is a sour based soup which incorporates Beef ribs with tomato as well as other herbs and spices to give it that distinct flavour. The beef ribs was very tender being off the bone easily and the soup itself had its own strong flavour of sourness which actually was more sour than I thought it would be. 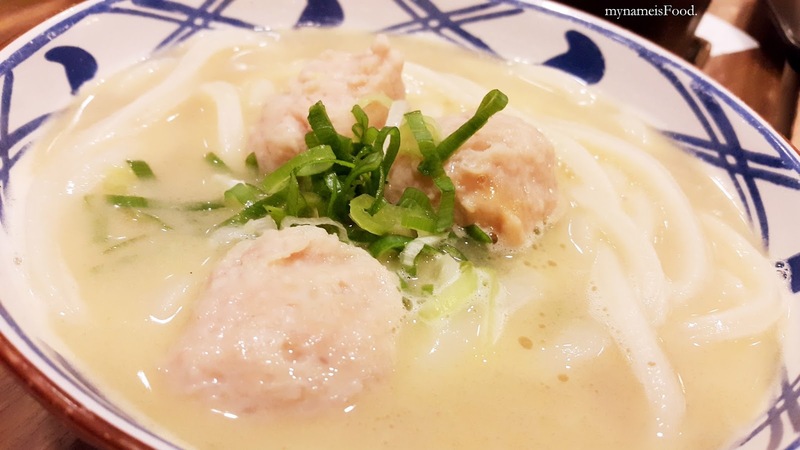 Sour food lovers would love it, but for those who don't really enjoy sour food, then the soup may not suit you. 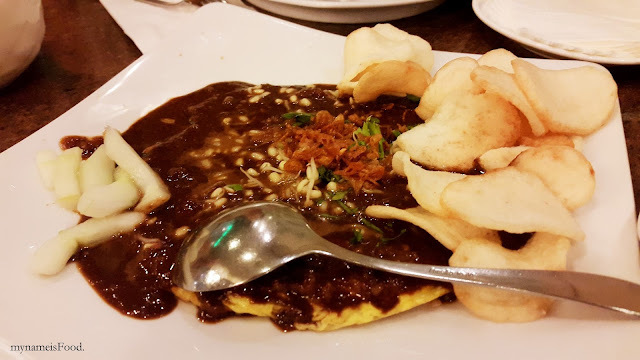 'Tahu Telor (Tofu Omelette)' (IDR33k = ~AUD$3.3) is a very old and classic dish of Indonesia which is basically a simple omelette with its main element being Tofu. The tofu used here was very soft and with the slightly sweet peanut sauce poured on top served with prawn crackers as well as pickled cucumbers allowed the dish to be a very pleasant one, especially when eaten with rice. 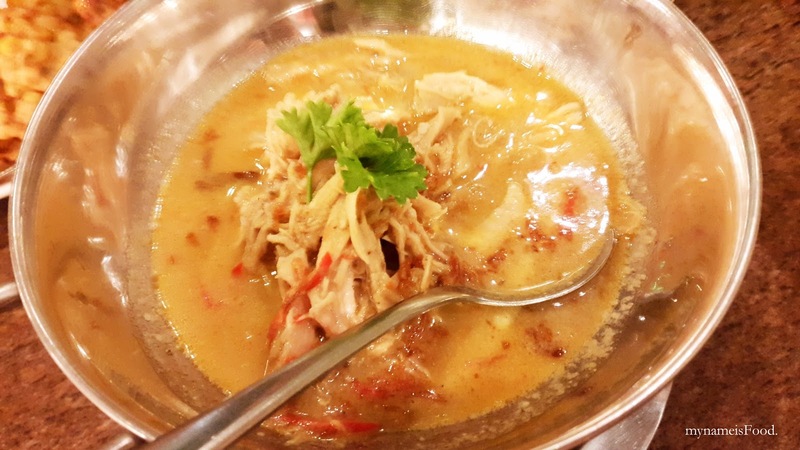 'Opor Ayam (Braised Chicken in Coconut Milk Curry)' (IDR38k = ~AUD$3.8) is another traditional Indonesian dish which is basically an Indonesian Chicken Curry you may call it. Although the differences is with the usualy other chicken curry you may have had is that the chicken is shredded, braised in coconut milk and usually topped with some fresh chilli as well as coriander and fried onions. I did think that the portion of this dish was rather small as well as lack of sauce/soup. Usually with the usual Opor Ayam, the curry soup/sauce is the one that hits your tongue and leaves that sensational smell and flavour. It would've been great if they weren't selfish with serving the curry as it just wasn't enough which made some of the chicken dry in the end. 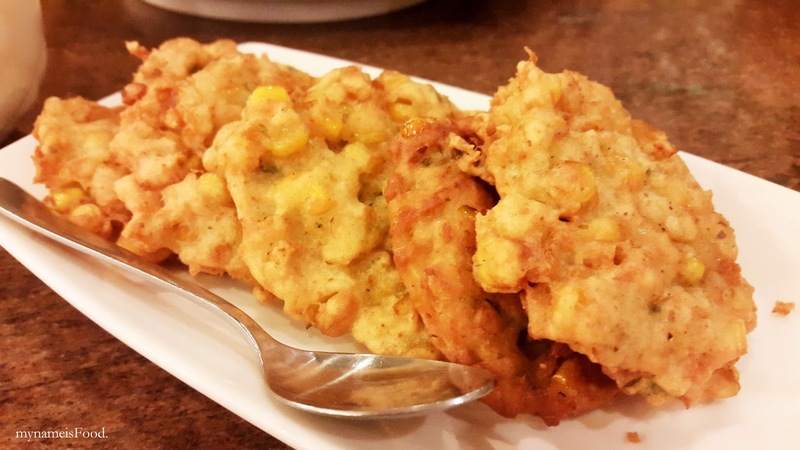 'Dadar Jagung (Indonesian Corn Fritters)' (IDR36k = ~AUD$3.6) is one of my favourite snacks or side dish you may call it to order when going to Indonesia. Although Aussie corn fritters is very different, I have to say that Indonesian Corn fritters are just simply the best, much much better than the Aussie ones.. 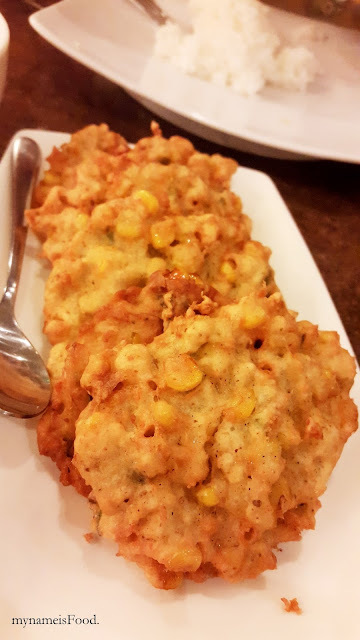 Using real corn as well as sometimes combined with mushed up fresh corn, mixed together with flour and herbs and spices and deep fried to create a golden deep fried corn fritter. Crunchy on the outside but very moist on the inside and with every bite, you are able to taste the many chunks of corn inside it. 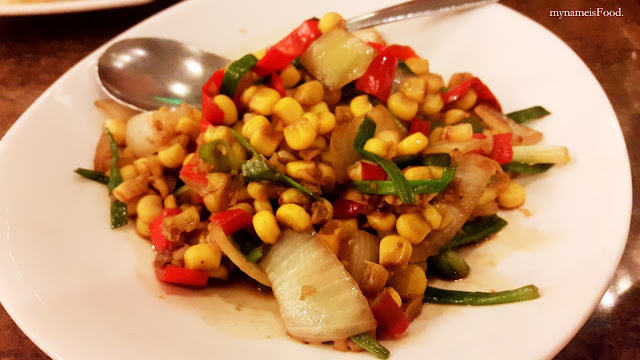 'Tumis Jagung (Stir Fried Corn)' is a dish where it consists of mainly corn with various vegetables including onions, spring onions as well as capsicum. This is great when eaten with rice and its sauce is a simple soy based but it isn't as sweet but instead more towards the saltier side. Zenbu House of Mozaru creates a dining place where people can enjoy a modern Japanese cuisine but also combines both Western and Eastern fusion where the final outcome would be Japanese style cuisine but with a bit of a twist here and there. The location itself is quite strategic being on a main road and parking on the premises. Having a very wide and open space, you may enjoy dining here as a date or just to catch up with friends. 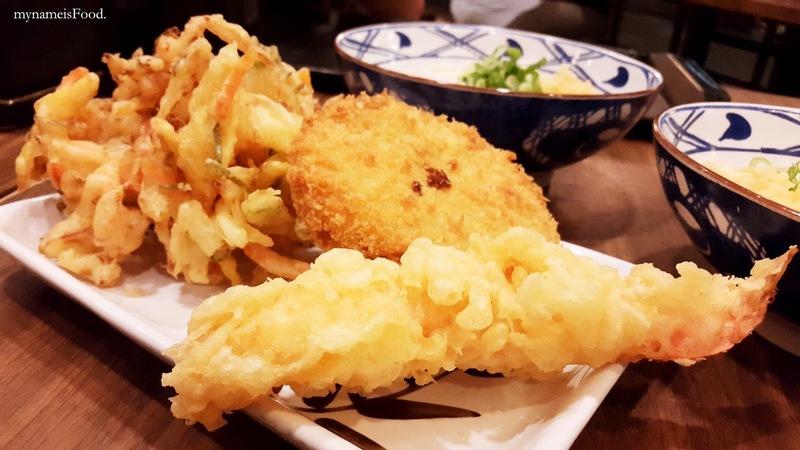 The restaurant's design is minimalistic and modern with Japanese touches in most of the restaurant area. 'Shisaimo Mentaiko' (IDR30k = ~AUD$3) is grilled Japanese pregnant fish literally meaning that these grilled Japanese whole fish is topped with fish eggs which is full of Omega 3 and protein. I wasn't too sure how many fishes we would get and it turned out that there were 3 pieces, topped with Mentaiko and grilled. What is great about grilled fish is that it doesn't take away the real flavour of fishes but instead adds a bit more smokyness as well as enhancing its taste. Of course, it is a fishy dish but since the Mentaiko and the grilled fish worked well, you won't really think about the fishiness as much anymore. 'Salmon Mozaru' (Reg: IDR75k, Large: 95k = ~AUD$7.5-9.5) is a fusion dish where a blend of baked rice where you can have an option of either Butter rice or Curry rice with a Katsu topping covered in Mozarella cheese as well as an option of Tomato sauce, Butter sauce or Dynamite sauce on top, right underneath the Mozarella cheese layer. 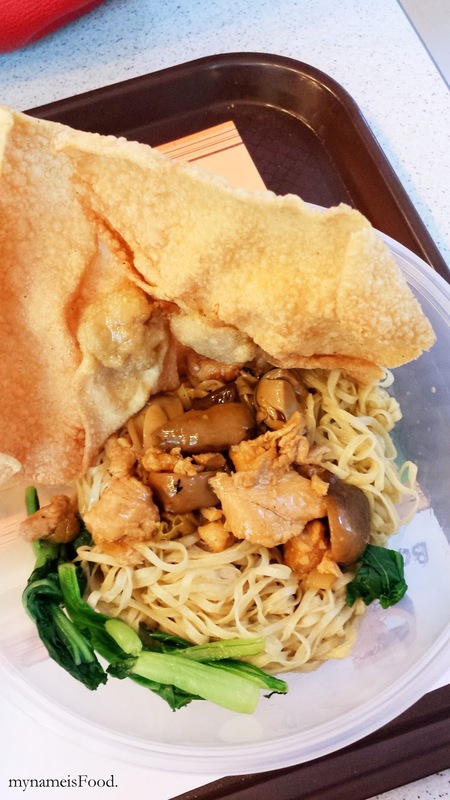 Various options are available to suit anyone's tastebuds which includes Mushroom Mozare, Chicken Mozaru, Chicken Mozaru and so on. Here, we chose the Salmon Mozaru with their Buttery Rice with Butter sauce. Too much butter you may say? But I guess, if you don't eat this everyday, then a cheat day or a once in a while is just fine. What I found quite interesting was that the amount of Mozarella cheese fully covered the whole dish and allowing us to have our own choice of meat or vege toppings along with the rice flavour and the sauce allows to create our own version of what we like. It does remind me of Taiwanese baked rice with a hint of Japanese twist such as having Salmon or Curry Rice or Dynamite sauce. 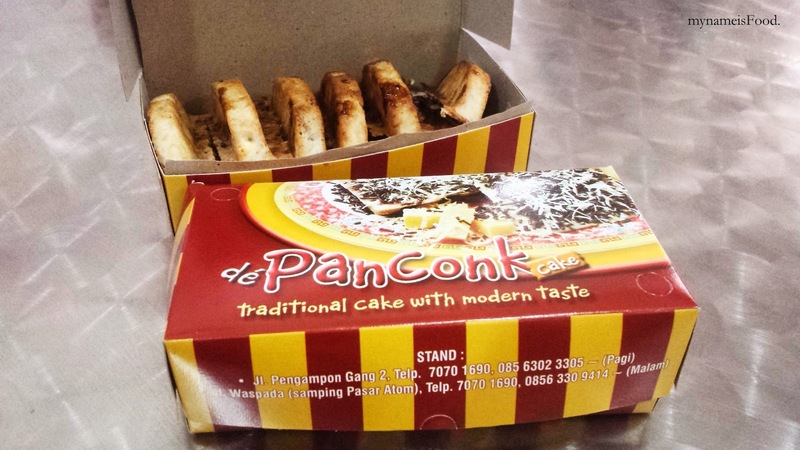 If you have never tried baked rice dishes before, then maybe you should give it a try. 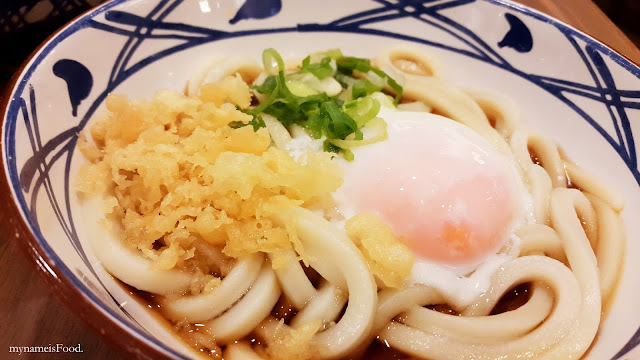 Usually in Taiwanese or Hong Kong restaurants have them on the menu, whilst in Japanese restaurants, not as much unless like Zenbu, being a fusion restaurant. 'Salmon Blaze' (IDR75k = ~AUD$7.5) is an Unagi and cucumber roll topped with aburi Salmon and Tobiko with a drizzle of mayonnaise. What I enjoyed about the dish was that the Aburi Salmon wasn't too tiny in portion and was quite sufficient in terms of covering the top of the sushi roll. The Unagi however could've been fresher than it was but by having the cucumber accompanying the Unagi made it a fresh and light sushi to eat. Having the caviar on top of the Aburi Salmon as well as the mayonnaise drizzle allowed every bite to have its own experience of creaminess as well as the smoky flavour from the Aburi salmon and the thick sauce of the Unagi marinade. 'Yaki-udon' (Reg: IDR30k, Large: IDR40k = Large: ~AUD$3-4) is a classic and one of the most looked for food in Osaka. Japanese fried noodles served with a thin omelette drizzled with mayonnaise with your choice of toppings. This was the the Original version which didn't have any additional or any twitches within the dish itself. 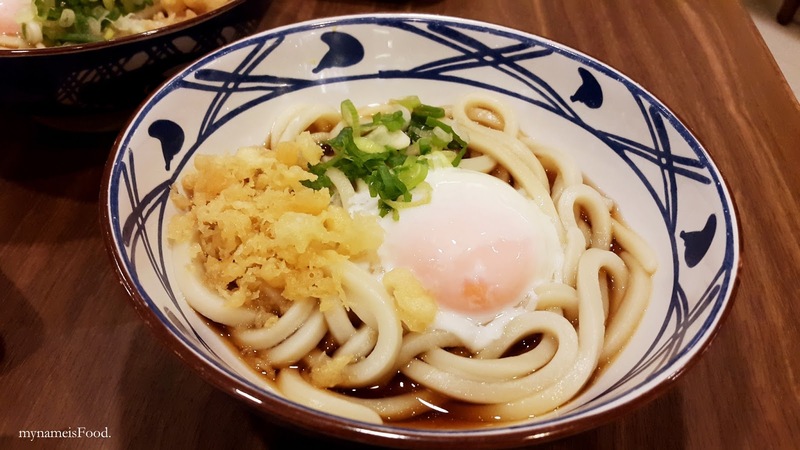 There are various versions you could get it in such as Beef, Mushroom, Salmon, Unagi and so on. 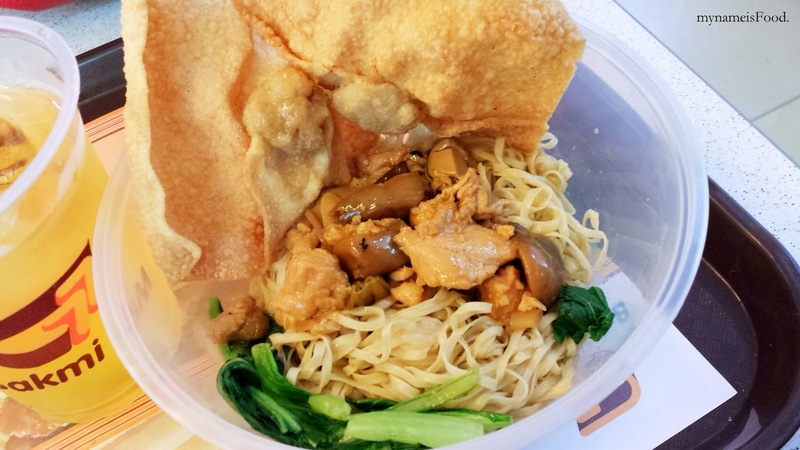 'Chicken Teppanyaki' (IDR59k = ~AUD$5.9) came in a big rectangular hot plate which had a fried egg, marinated pan fried mushrooms, pan fried beansprouts and corn with some light greens and of course, the marinated chicken. This was served with a bowl of rice and miso soup which I have to say would be a good deal and basically a portion of its own. The marinated mushrooms and the beansprouts with corn was alright, though it did have similar marination between the two. The fried egg was an interesting add but when you actually do break the yolk, you are able to create your own pool of saucyness along with the leftover marinade liquid from the hot plate itself. As for the chicken, it had a light marination and it is nice that the chicken was not dry at all but instead was served with its sauce still intact and was moist on the inside and well cooked. Having a variety of greens and fried egg on the same hot plate allows you to eat as how you would like it and how you would prefer. 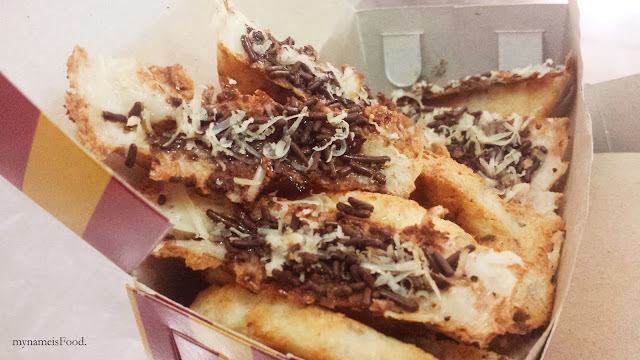 'Crunchy Salmon' (IDR28k = ~AUD$2.8) is basically as what it says literally, deep fried salmon skin. Crunchy and surprisingly with no sauce nor anything but it had its own depth of flavour. Not that it is fishy since it is Salmon skin but the light spices and salt used allowed the crispy salmon skin to have a nice flavour without having the need to dip it to any sauce. 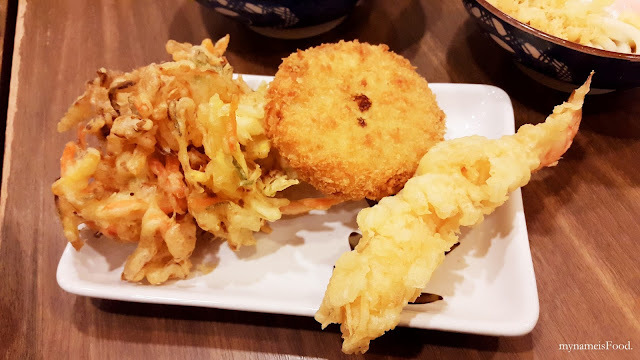 It just reminds me of crispy pork skin but even if both are deep fried and crispy, seafood is somewhat healthier I may say, though too much could give you cholesterol but yes, at an efficient amount, it is healthier for you and if it taste as good, then why not? Plus, who wouldn't like Salmon? 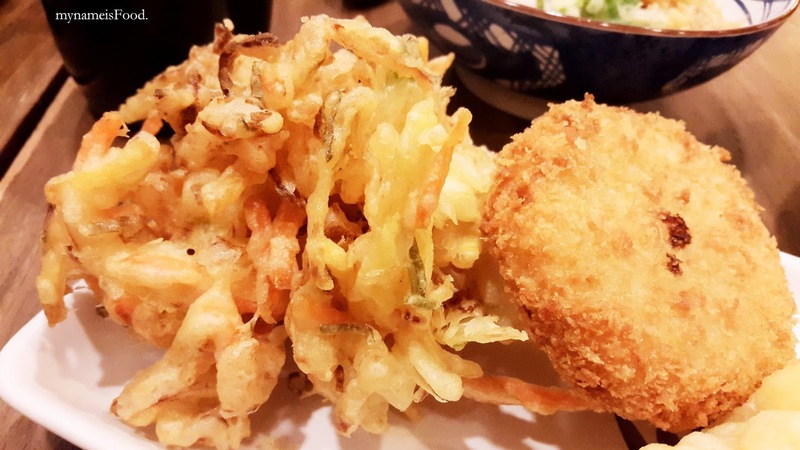 Specially its skin deep fried, crunching on it while you eat your other mains is just right. Having not much to say about this snack or appetizer other than it is a must have and must order from the menu. Not just because I love anything Salmon and anything fried, but the fact that they have actually made a bowl full of crispy deep fried salmon skin for anyone and everyone to enjoy around the table is a perfect dish to have when sharing food with your friends. 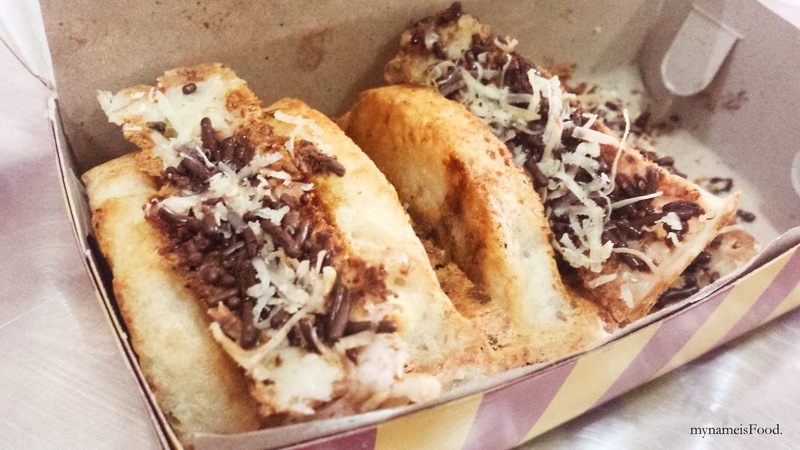 Just think of it as a substitute from your usual french fries. 'Beef Ramen' (Reg: IDR45k = ~AUD$4.5) was a simple ramen with bamboo shoots, sliced carrots, corn, slices of beef and a cooked egg. One thing I would have to point out was that although the egg has been marinated, but it was not half boiled which was a shame. As I did not try this for myself, I will not be able to comment on it specifically from taste. However, the broth seemed to be quite creamy though not thick and the beef slices seemed to be dry overall.